With so much competition out there, staying on top of SEO statistics for your business can mean the difference between being seen by your ideal customers or falling into search engine obscurity. As of March, 2017 Google claims to make an average of three updates per day. If you don’t keep up with search engine statistics you may end up irrelevant. Thankfully, our team at MARION has assembled a list of the most recent SEO stats for 2018. We’ve found stats that range from organic search statistics to search engine optimization facts. Let’s take a closer look at 12 SEO statistics for your business and why they matter. The following SEO facts about web page length tells us that bigger really is better for search engine optimization. Buzzsumo and Moz examined more than 1 million articles and identified the trend that all articles that spanned 1,000 words or more received more likes and shares overall. That means one thing for your business — if you create longer posts filled with valuable information, you will likely be rewarded with likes and shares. In other words, quality matters more than quantity. The longer your content, the more likely it will rank well. That means providing as much value as you can for your visitors. Remember that your visitors are almost always looking for something specific. Go above and beyond when it comes to addressing searcher intent, and giving your customers what they’re searching for. These two statistics will give you some insight into how your competitors are using SEO in their overall marketing execution. Marketers have been refocusing their efforts on improving their search engine rankings as opposed to focusing on other digital marketing strategies. There’s a good chance your competitors are focusing on improving their rankings as well. That means you need to refocus your efforts if you don’t want to be outranked (and outgrown) by your competitors. Digital marketing is no longer as shiny and new as it used to be just a few years ago. Now, companies are getting better at SEO. That means if you want to stay competitive in 2018, your SEO strategy needs to be better than your competitor’s. Do you know how many people search for businesses online right before making a local purchase? These local online search statistics may motivate you to implement local SEO best practices as soon as possible. Local search statistics should mean a lot to local business owners. With an ever-increasing number of people searching for local services every day business owners need to refocus their efforts on strengthening their local SEO tactics to make sure they’re at the top of the search engines when customers search for local services. As far as local SEO stats are concerned, this is especially important. That’s because an overwhelmingly large number of people are taking action after searching for local services. Once again, if you have a local business you should focus heavily on local SEO. Tactics do not transcend time. Use these two stats to help shape the tactics that drive your small business marketing strategy. According to Web Strategies, as of 2018 and beyond, the average firm is projected to spend 41% of their marketing budget on digital marketing. By 2020 this rate is expected to grow to 45%. Digital marketing has proven time and again that it has become the undisputed king of marketing overall. With online ad banners and search engine marketing on the rise, it’s no wonder that so many businesses are expanding their marketing budgets significantly. If you have a blog full of archived blog posts with outdated information, a great tactical move would be to update your old posts with new content and images. It’s a great way to drive organic traffic, and it’ll give your SEO a boost. Take a look at the following four trends that will have a huge impact on your organic rankings. Users rarely type in single keywords when they’re running a query on Google. Most users are searching for long-tail keywords. 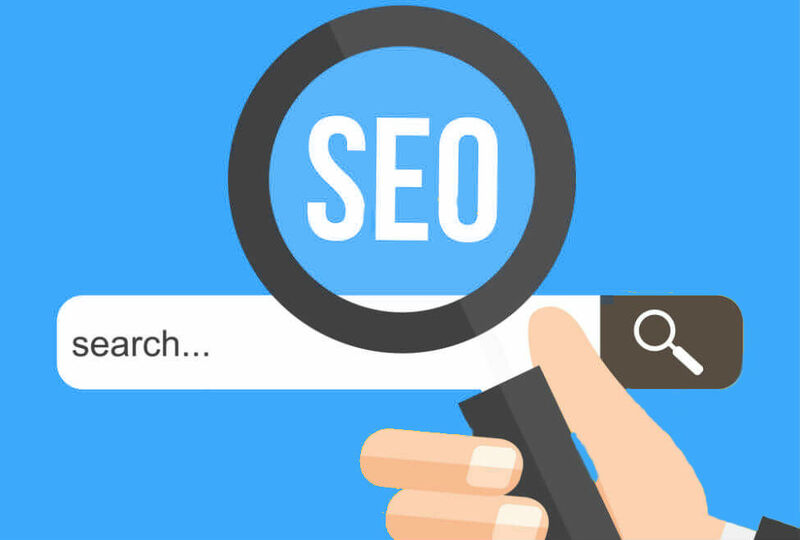 For example, “SEO services in Houston” would be considered a long-tail keyword whereas “SEO” would be considered a head keyword. Keep this in mind during your keyword research and optimization endeavors. Typically, your ideal customer likes to feel that they’re in control of the entire buying process. Therefore, when you rank well you make it easier for them to perform research on your business. With so many people running searches on Google you can rest assured there are plenty of people looking for the services you specifically provide. Now it’s your job to make it easy for them to find you. It’s no big surprise that the world is going mobile. Practically everyone has a cell phone or tablet, so if you want to stay competitive, you need to make sure your website is mobile friendly. Contact MARION for more information on how our responsive web design in Houston can help you! Keep in mind that mobile devices vary in size which means your website needs to be able to adapt to various screen sizes. Lastly, paying attention to mobile SEO stats will allow you to spot trends and jump on opportunities when they present themselves. It’s one thing to rank well on search engines such as Bing or Yahoo, but if you don’t rank well on Google, your target customers might never hear of your brand. Therefore, staying aware of search engine stats will allow you to stay ahead of your competitors. There are a few principal takeaways you can glean from the various SEO facts and figures in this article. For one, when it comes to content marketing, long-form posts tend to rank better in search engines than shorter posts. That means you should focus on creating beneficial information for your audience that’s full of useful information! Make sure your content marketing calendar is consistent enough to build a loyal following. Marketers are also substantially increasing their marketing budgets. If you want to stay competitive, you’ll likely have to do the same. Finally, mastering keyword research and optimizing your business blogs will help you rank better. If you’re looking to improve your SEO to stay competitive, you’re going to need a top-notch team that knows what they’re doing to help you get the job done. MARION is a full-service marketing company that has an experienced team of SEO professionals on hand to help you significantly improve your search engine ranking. We understand what it takes to rank on the top, and we offer SEO services that reflect our expertise. If you’re tired of lagging behind your competition and you’re ready to get to work contact us today.